Achieve new heights when it’s just you against the wall with these breathtaking climbs. The World’s tallest vertical cliff, Baffin Island’s Mount Thoris a remote and mystical place. Making an appearance in Led Zepplin’s 1976 concert movie, The Song Remains the Same, this remote granite spire remained unconquered until 1953 when a team from the Arctic Institute of North America made it to the summit. 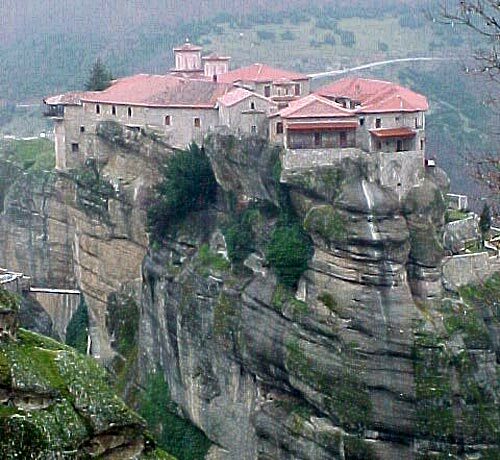 With ancient Greek Orthodox monasteries vying for position atop dramatic sandstone pillars, this UNESCO world heritage site is a place of quiet mystery and magnificence. Follow in the handholds of the early hermits who established these skybourne palaces of solitude in some of the most dramatic landscape on earth. Familiar to fans of Mission Impossible as the site of Tom Cruise’s high hanging stunts in the movie’s opening sequence, Dead Horse Point stands 2000 feet (610 metres) proud above the Colorado River, providing breathtaking views of Utah’s Canyonland National Park. If you’re lucky someone will meet you at the top with a helicopter. 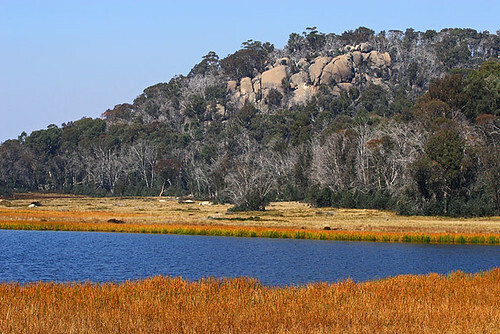 An island in the sky, this giant granite plateau overlooking an impressive gorge is home to some of Victoria’s best climbing routes. For those less daring, an 6.8 miles (11 km) hike, known imaginatively as the ‘Big Walk’ will bring you from the park entrance up through an elevation of 3281 feet (1000 metres) to impressive views of the gorge. One of Norway’s most popular tourist destinations, some 95,000 visitors take the 3 miles (five km) hike up to Pulpit Rock every year to stand on the almost perfectly flat, 82 foot square (25 metres square) summit. For a real sense of achievement however, scale the 1982 feet (604 metre) cliff and breathe in the most dramatic landscape Norway has to offer. The tallest tower in a range named the ‘Seven Pillars of Wisdom’ by Lawrence of Arabia, Jabal Rum peak is 5755 feet (1754 metres) high, and from the summit, on a clear day you can see as far as Saudi Arabia and the Red Sea. For the best desert experience, hire a Bedouin guide and spend a few days camel trekking out into virgin desert, sleeping under the stars. 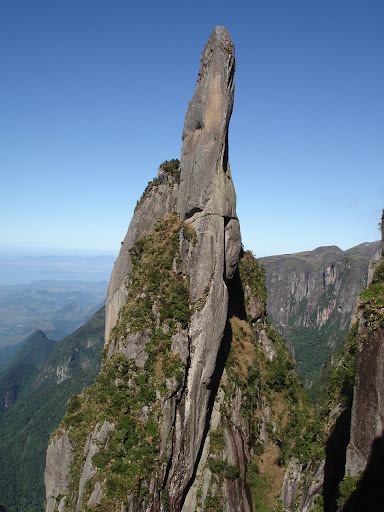 Rising some 6000 feet (1829 metres) above virgin rainforest, with stunning views from the summit of Rio de Janeiro and Guanabara Bay, the Devil’s Needle is a demanding climb even for the most seasoned climber. Alternatively content yourself with the four hour trek to the mountain’s base, past dramatic waterfalls and shady camping spots.